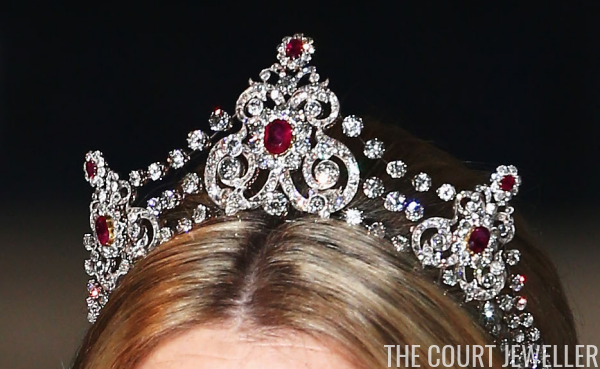 All four of the Dutch queens since Emma have worn the tiara and at least parts of the rest of the parure; the piece has also been worn by many Dutch princesses. 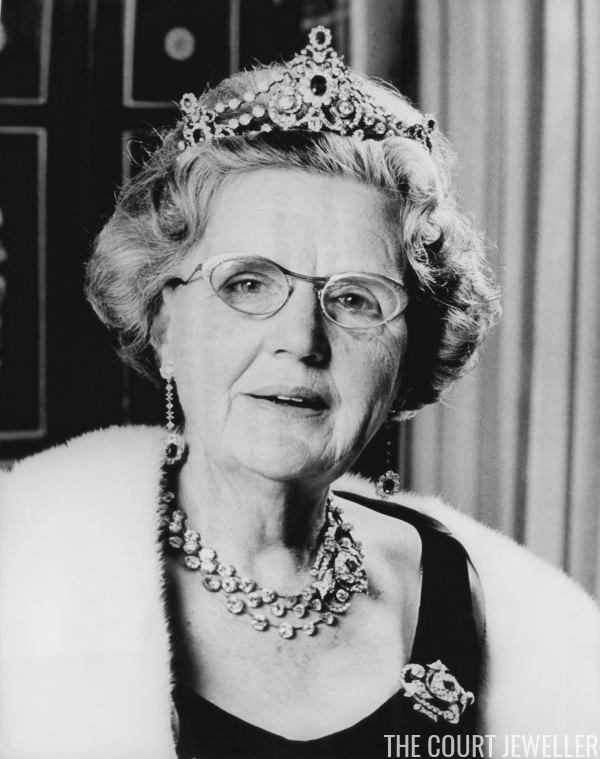 Queen Juliana reportedly loved this parure, so much so that she even chose the brooch to wear on the day she was inaugurated as queen. Above, Juliana wears the tiara and the accompanying pieces of the parure in 1976. 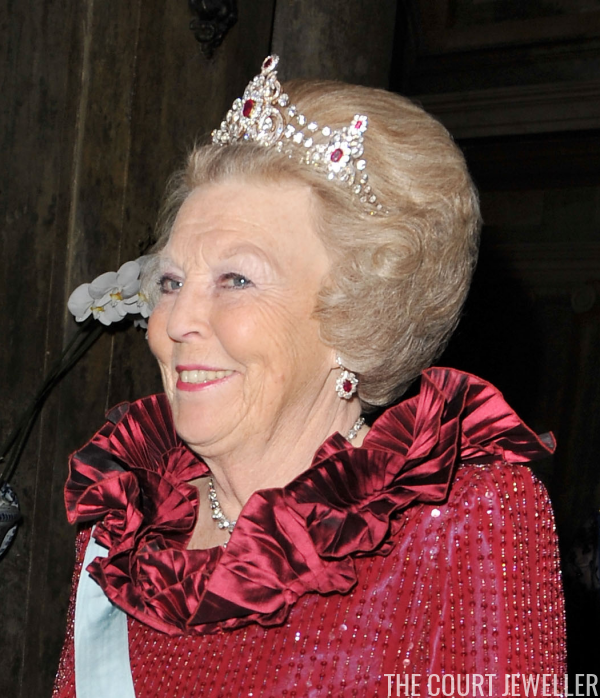 The piece has a very classic tiara shape, with rows of diamonds suspended between the larger elements; that shape fits well with both Princess Beatrix’s retro bouffant and Queen Máxima’s sleeker hairstyles. Above, Beatrix wears the tiara at the wedding of Crown Princess Victoria of Sweden in 2010. Máxima even chose the tiara for her first official portrait as queen. 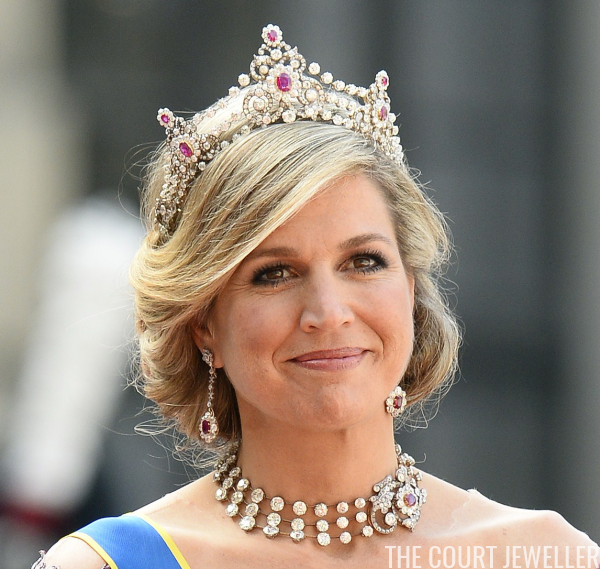 She's reached for it more than once for glittering occasions over the past several years; her appearance in the tiara at the wedding of Prince Carl Philip of Sweden in 2015 (pictured above) was hailed as an especially major bejeweled triumph. And since it’s a part of the family’s jewel foundation, it will sit atop various Dutch royal hairstyles for years to come.